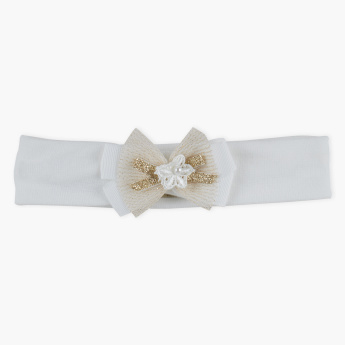 Set your baby girl's hair by getting this beautiful headband which is embellished with a bow knot. 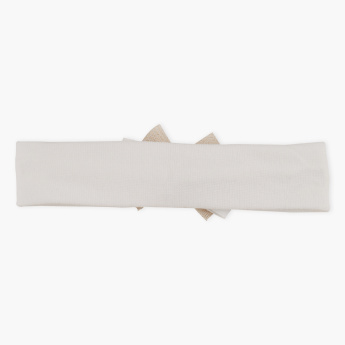 It features an elasticised closure for a snug fit on your little one's delicate head. Features : Embellished of bow knot on an elasticated band for cute and adorable looks.